The third annual SLO Ultra trail races are a perfect family-friendly activity for the Labor Day weekend. Produced by the Central Coast's endurance sport leader Race SLO and benefiting both SLO County Parks and The Land Conservancy of SLO, the SLO Ultra will take place in San Luis Obispo, starting and finishing at the Dairy Creek Event Center. On Saturday, September 1, trail runners from all over the state will compete in a 50K Road Runners Club of America (RRCA) State Trail Championship. The Road Runners Club of America is the oldest and largest national association of running organizations dedicated to growing the sport of running since 1958. Runners and hikers of all levels are invited to take part in a cross country half marathon, 5K trail run and new kids race. Those who aren't participating in the races can enjoy the free Race SLO Dirt Festival with Cuesta Ridge Band live music, vendors, hot BBQ and cold Lagunitas brew. The SLO Ultra will be held in conjunction with the 6th annual US Trail Running Conference (USTRC). Estimate attendance is 100 for the USTRC and 750 for the SLO Ultra. According to the event director Terry Chiplin, the depth of expertise and innovation that the speakers, sponsors and exhibitors bring to the event is unrivaled in the trail running market, making this a must-attend event for both trail race directors and trail runners. Leading the way, USTRC is collaborating with the Cal Poly Digital Transformation Hub, the world's first university-based innovation program powered by Amazon Web Services (AWS). The trail running industry professionals will be provided with an overview of Amazon's Working Backward process and conduct a problem/opportunity identification exercise addressing industry challenges and business solutions. Among the dozens of industry leaders and professional trail runners coming to compete in San Luis Obispo is Kyle Robidoux, a legally blind ultra-marathoner who has completed the so-called Double Boston, running the full Boston Marathon course backwards from the Boylston Street to Hopkinton in the early morning, before turning around and running the 26.2 miles again with the rest of the crowd. 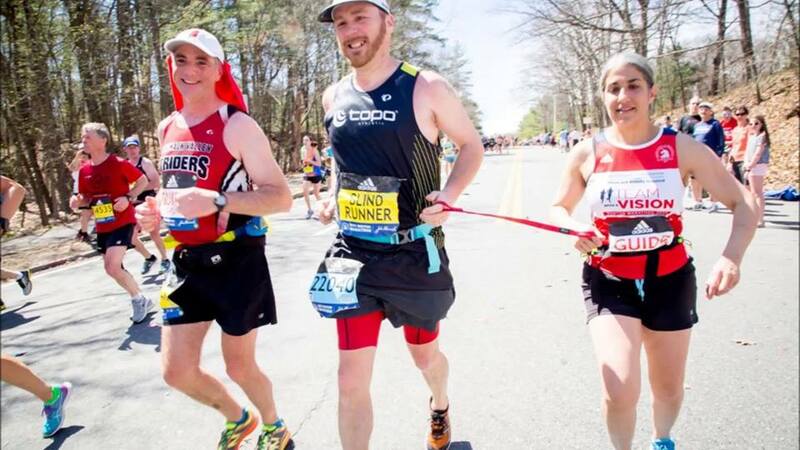 Kyle manages United in Stride in which he recruits and trains sighted guides, and provides technical assistance to race directors to create Athletes with Disabilities Divisions. Other noteworthy runners include a rising star Tayte Pollman, elite mountain and trail runner sponsored by the Nike Trail Team; Ian Torrence, a legend in the trail and ultra running community having now finished more than 200 ultras and JFK 50 mile Champion and world record holder Emily Harrison Torrence. Race Roster is sponsoring the event along with the City of San Luis Obispo. For more information and to register, please visit SLOUltra.com and USTrailRunningConference.com. Established in 2008 to bring world class sporting events to the beautiful California Central Coast, the 2018 Race SLO endurance event portfolio includes the inaugural California Warrior Experience, 7th SLO Marathon + Half, Relays and 5K plus Kids Races, 3rd SLO Ultra trail races, US Trail Running Conference and NEW Endurance Town USA Podcast and athlete travel platform.